Conan O'Brien may be best known for hosting late-night talk shows, but he's taking his stand-up comedy back out on the road later this year. He's announced a North American tour that's been dubbed "Team Coco Presents Conan & Friends: An Evening of Stand-Up and Investment Tips." It will begin in Washington, DC on November 2, and will wind its way across the eastern United States before crossing to the west coast and making a single Canadian stop in Vancouver on December 14. The full run of dates comes to an end on December 15 in San Francisco. O'Brien will be bringing along a slew of friends and colleagues for the shows, including Rory Scovel, Deon Cole, Ron Funches, Laurie Kilmartin, and Marina Franklin. Tickets for the tour go on sale this Friday (September 28). See the full list of dates below. 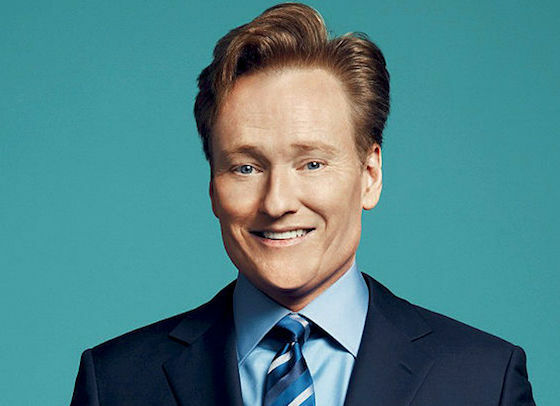 Following his live shows, O'Brien will return to the nightly airwaves with a revamped 30-minute version of his show Conan in January. The new episodes will feature fewer celebrity guests and musical performers in favour of more digital shorts and pre-taped segments.